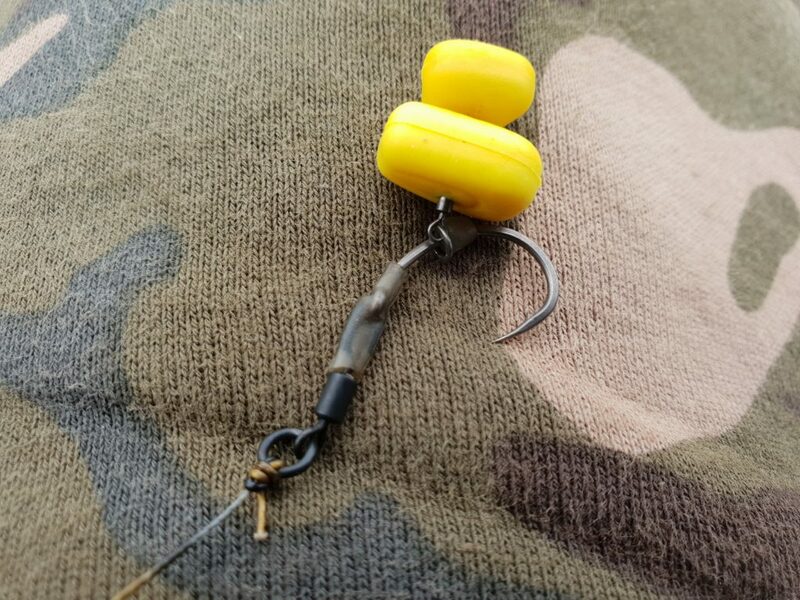 Just recently I have been constantly asked what I think about the Spinner Rig and how to tie it. I will admit it is not a rig that at this point I had ever used or tied. So, it was time to give it a go. Once again, the venue of choice when experimenting was the farm pond. Arriving at first light I was surprised that I could not see any signs of fish feeding on my favourite spots. I spent the next 20 minutes walking round the pond but did not spot a single feeding fish. I was confident that if I fished my usual spots, having fed them the morning before, the fish would turn up at some point and feed. I put a couple of handfuls of hemp, maize and pellet onto each spot. I decided that today I would use 2 pieces of slow sinking fake maize for hook baits. 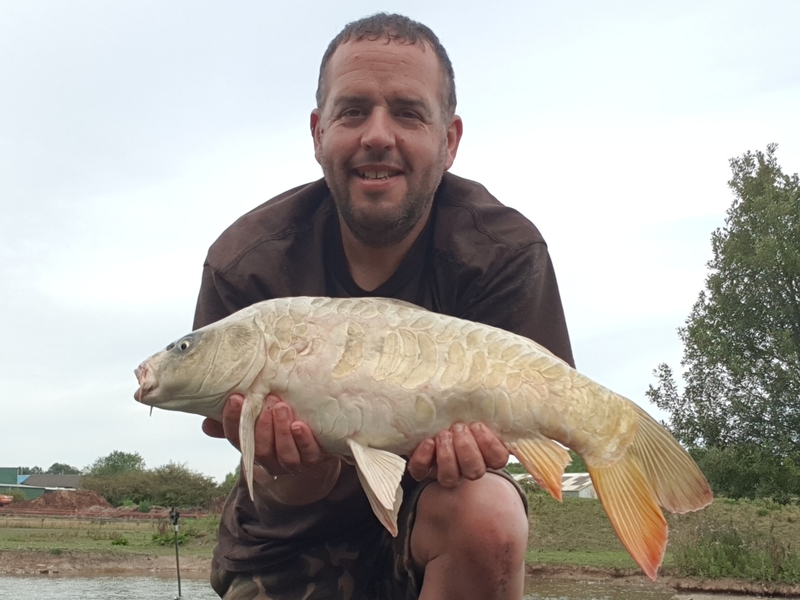 By the time I had mounted my bait onto my newly constructed Spinner Rig I could see carp actively feeding on both my spots. I threw another handful of bait onto the first spot to spook the fish out of the area before gently lowering my rig into the baited area. Having placed the rod onto the alarm I went about repeating the procedure on the second spot. As I went to the lower my second rig in the alarm sounded and I had hooked my first fish on the spinner rig. The fish gave an admiral account of itself but after a short fight it was in the landing net. Checking the hook hold I could not have been happier, right in the middle of the bottom lip. As always after each fish I fed the spot with 2 handfuls of hemp, maize and pellet. This seems to be the winning tactic on here at the moment as again I had constant action all day long landing 12 fish. My favourite fish of the day whilst not the biggest was a stunning ghost Mirror Carp in pristine condition. The question now is will it replace my ever faithful Multi Rig? I guess we will have to wait and see! This entry was posted in carp, rigs and tagged carp, carp angling, carp fishing, maze, spinner rig.